Blocking the CB1 receptor may be useful in medical conditions like metabolic syndrome, but strong inhibitors can have severe side effects. So chemists have attempted to produce new kinds of CB1 modulators, like inhibitors that can’t get into the brain and only affect CB1 receptors in peripheral organs. Many of these ideas have been patented, as scientists at the Research Triangle Institute in North Carolina recently reviewed. They examine national and international patents from the last four years and highlight recent trends in medical research. Broadly speaking, chemical patents are granted for a new class of molecules, a new use for known molecules, or a new route of synthesis. Scientists at University of North Carolina, Greensboro, have patented a class of “beta-arrestin biased” CB1 agonists. Such molecules are thought to weakly activate CB1, but strongly desensitize it by amplifying a homeostatic mechanism. Essentially, this tricks the body into thinking CB1 is overactive, encouraging the internalization of that receptor. Peripherally restricted CB1 antagonists have sparked significant interest, with a handful of new scaffolds patented in recent years. The claims of medical utility usually rely on mouse models of diet-induced obesity and liver disease. Negative allosteric modulators (NAMs) of CB1 are also being patented, particularly chemicals derived from pregnenolone, a cholesterol precursor. These drugs don’t directly activate or inactivate CB1, instead they just change its shape, and this weakens the signals that CB1 sends into the cell. But a NAM for THC’s interaction with CB1 won’t necessarily be a NAM for anandamide, the native ligand at CB1. This substrate-specificity, as it is called, makes developing pharmaceutical NAMs quite difficult. A few antibodies of the CB1 receptor have also been patented, including a NAM. 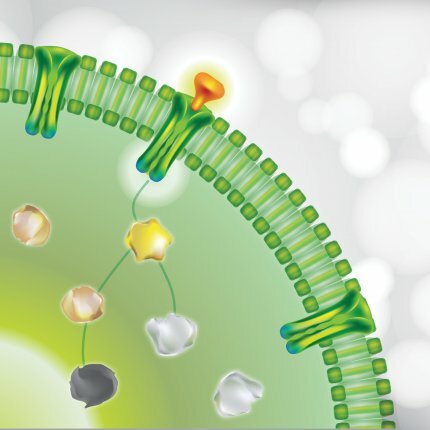 Antibodies typically serve the immune system, but can be used to deliver drugs to specific sites in the body. There are many subtle difficulties in developing antibody-based drugs, and it remains to be seen how successful this avenue will be. Beyond just new chemicals, there are new uses for old chemicals. Patents have been filed for using Rimonabant in the treatment of Parkinson’s disease, spinal injury, and Down syndrome. Hopefully, such endeavors will prove more successful than the disastrous effort to commercialize Rimonabant as a diet pill.